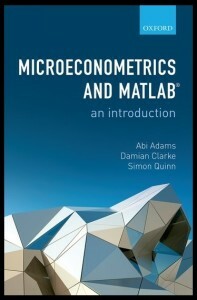 Microeconometrics and MATLAB: An Introduction (2016, Oxford University Press) is co-authored with Abi Adams and Damian Clarke. The book website is here, and you can purchase from Oxford University Press here. 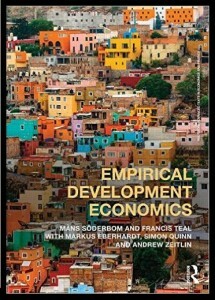 Empirical Development Economics (2014, Routledge) is co-authored with Markus Eberhardt, Mans Söderbom, Francis Teal and Andrew Zeitlin. The book website is here, and you can purchase from Routledge here. 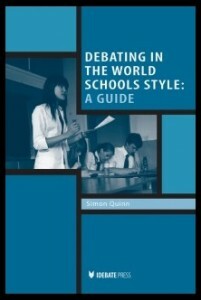 Debating in the World Schools Style: A Guide (2009, International Debate Education Association) is available free online in five languages here, and you can purchase online here.